Garador is one of the UK’s largest garage door manufacturer, specialising in Up and Over, Side-Hinged and Sectional Garage doors. With over 50 years of industry experience, Garador produces a large number of different types garage doors from its purpose-built garage manufacturing plant in Yeovil, UK. Garador garage doors are produced with safety and security in mind and are certified and approved by independently established institutes to ensure they are safe. All Garador Garage doors are manufactured to comply with European Safety Standard BS EN 13241. GARADOR ARE THE LARGEST MANUFACTURER OF GARAGE DOORS IN THE UK. Garador manufacture Up & Over doors in a number of different styles and materials, including steel, timber, GRP or PVC. All Garador Up & Over garage doors are constructed within a rigid box section chassis for strength and stability. Garador Roller Garage doors offer a space saving solution for your garage, thanks to its vertical lift and roll storing the door in a clean roll when up right. Garador Side Hinged Garage Doors open outwards and are manufactured with equal sized leaves, with the right hand leave leading as standard. 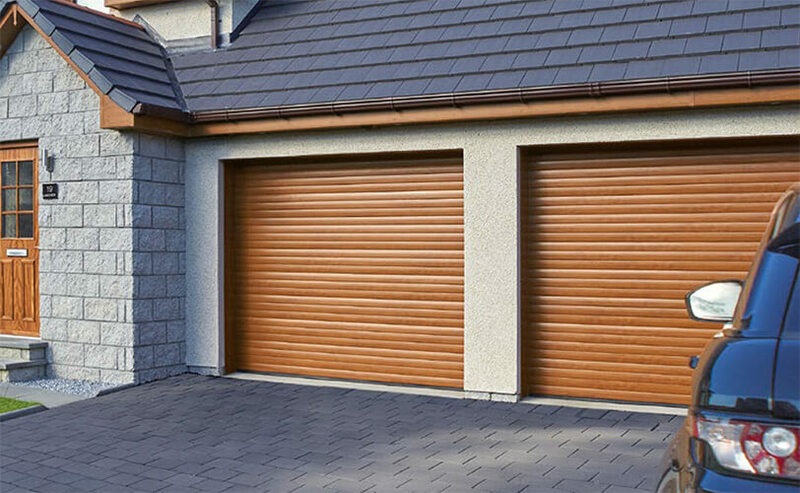 The Side Hinged garage doors are available in a range of steel and timber door styles. Garador Sectional doors are made up of separate sections rather than a single panel; they rise vertically with no loss of driveway space in front of the garage and are available in a number of surface finishes, styles and designs.